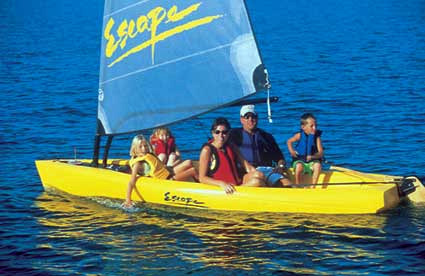 The top of the range, largest and most powerful Escape dinghy. Later replaced and rebranded as the Escape 12, which is nearly identical. Sail Transparent composite sail made by North Sails.